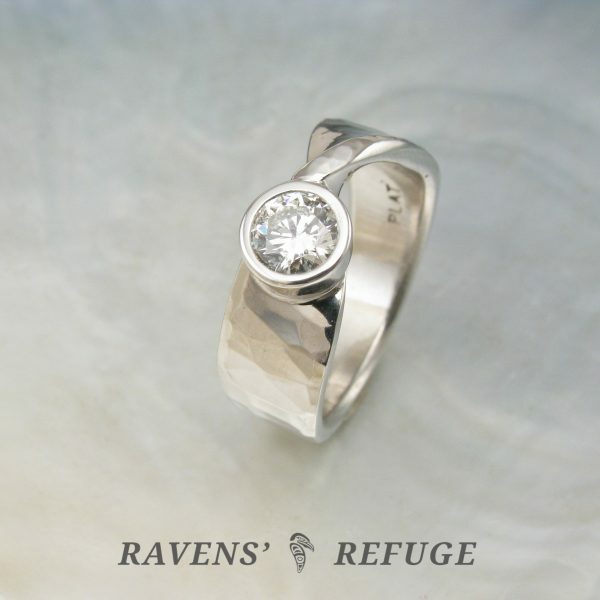 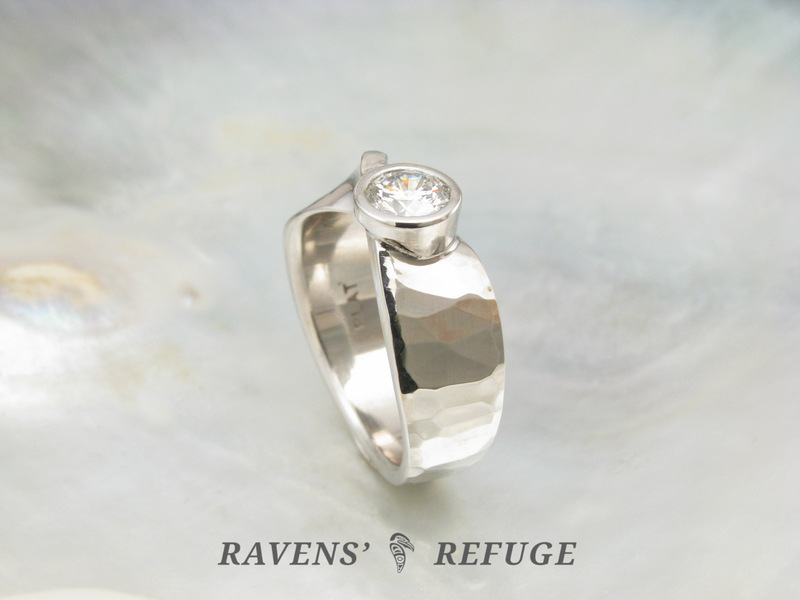 Don’t be fooled by this unique engagement ring’s stunning and contemporary design… it has been fabricated using old world methods of metalsmithing and made entirely by hand. 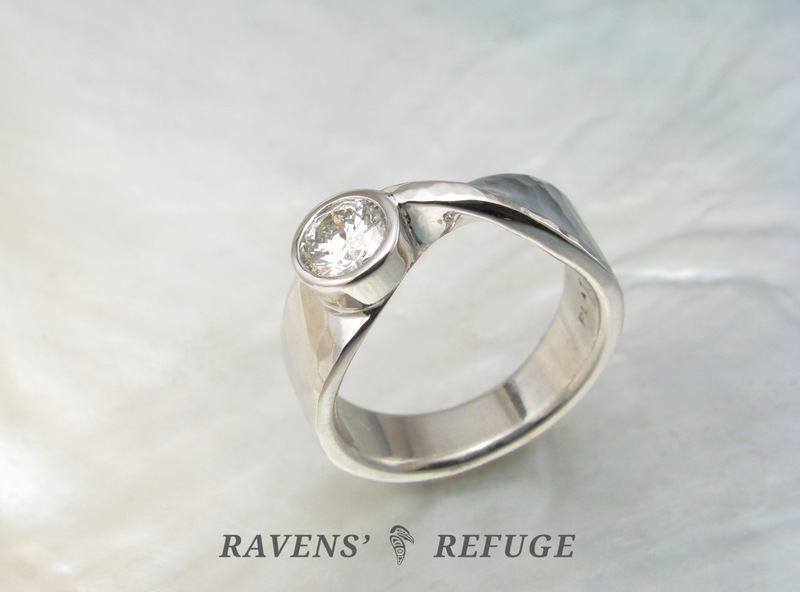 Dan has hand forged the shank of this ring in platinum 950 and given it a Mobius twist — a lovely and tangible metaphor for “infinity.” He has hammered it in our beautiful and unique waterfall style, which ripples as light cascades along its facets. 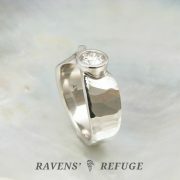 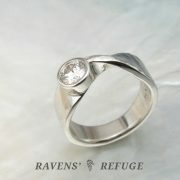 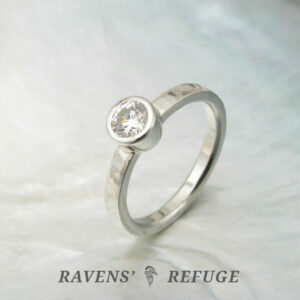 The center stone is a bezel set .50 carat SI / G-H diamond that is white & bright & full of fire. 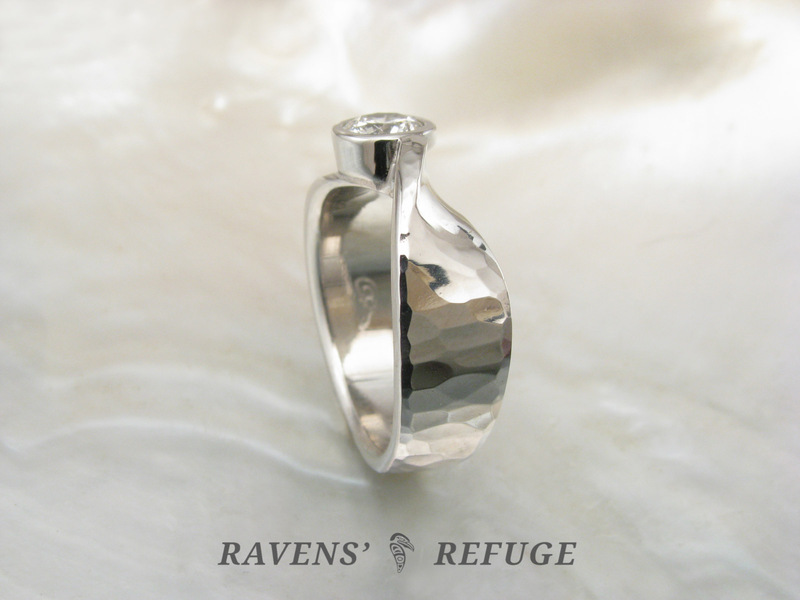 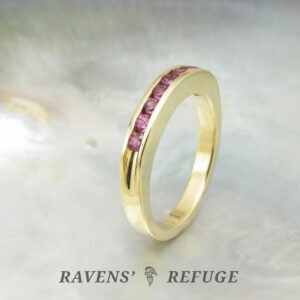 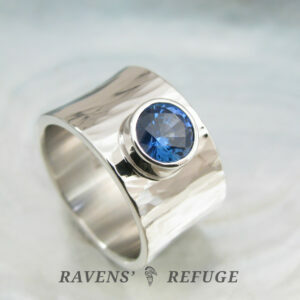 The shank of the ring is 7mm wide at the top, tapering to 4.5mm wide at the base. 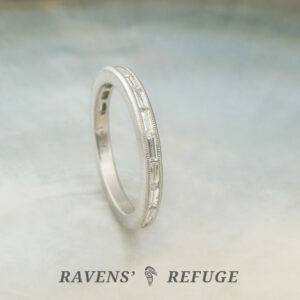 It is 1.75mm thick and is beveled for comfort on the interior edges. 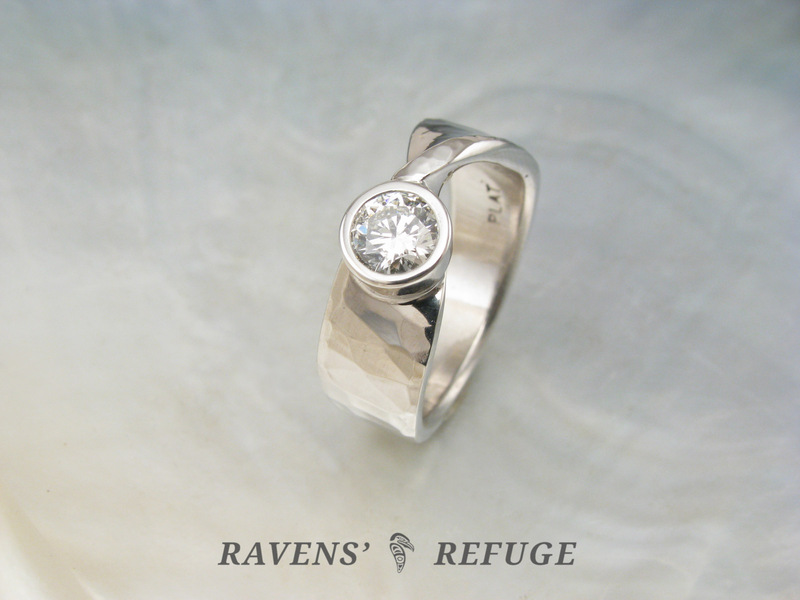 Priced up to size 7. 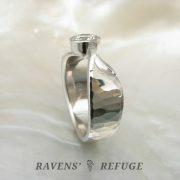 For larger sizes, please contact us for a quote.